ATLANTA, GA —- August 12, 2010. 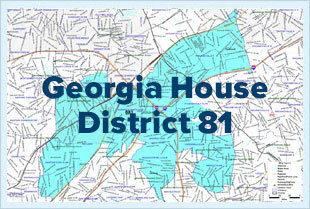 Scott Holcomb will be the next Representative of Georgia House District 82. The Secretary of State has determined that an independent candidate who attempted to qualify for the general election has failed to gather a sufficient number of signatures to appear on the ballot. Holcomb is unopposed for the general election on November 2, 2010. "I am looking forward to representing the 82nd District. Our state is facing significant challenges and I am ready to start working on creative policy solutions to improve Georgia's economy, schools, and transportation systems. Between now and Election Day I will be meeting as many of my future constituents as possible, listening to what they think and gathering ideas to bring to the Capitol." Holcomb is an attorney, military veteran, and instructor at Georgia Tech. More information can be found at www.votescottholcomb.com.